Ford Motor said Wednesday that it plans to cut hundreds of jobs in Europe in an effort to reduce costs. The reductions in salaried positions will be voluntary, Ford said, and other savings will be achieved through reductions in expenditures on agency workers and purchased services. Ford (F) is facing strong headwinds in Europe, as the continent's debt crisis has contributed to a drop in demand and difficult market conditions for automakers. Ford estimated this summer that by the end of the year, its losses in Europe would top $1 billion. "When you look at the GDP in Europe, almost every country is clearly in a recession now and it's getting worse," Ford CEO Alan Mulally told CNN last week. "We're very pleased with the leadership trying to look at fiscal and monetary policies trying to deal with sovereign debt, but clearly a long way to go." Fortunately, sales are strong enough elsewhere that Ford still expects improved company-wide operating profits, even with that European loss. Still, the CEO hinted that changes were on the way, and said that production levels in Europe must be reduced. 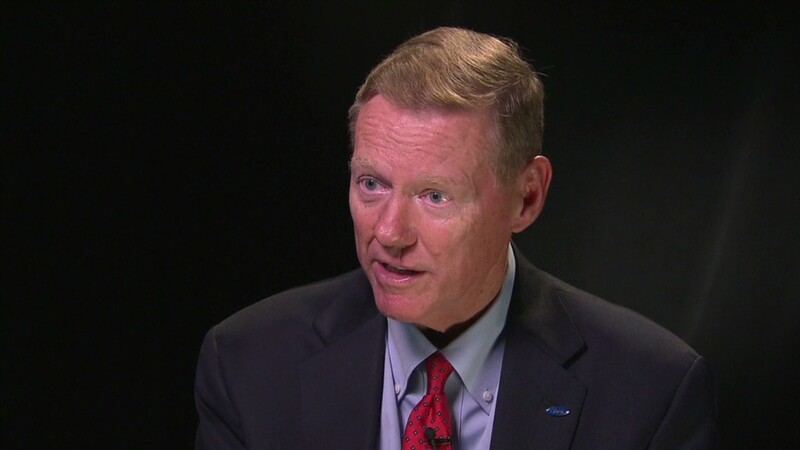 "That's the most important thing we do for residual values and to protect the interest of the customers," Mulally said. "So we continue to take those actions to restructure ourselves." Experts say fixing the auto industry's problems in Europe could cost billions, in addition to the ongoing losses because labor laws in much of Europe make it far more difficult and expensive to close unprofitable plants. But the problems and losses didn't just arrive with the current sovereign debt crisis. Europe has had overcapacity in the auto industry for years, and the U.S. automakers have been dealing with losses off and on for quite some time there. General Motors actually planned to pull the plug on Europe, selling a majority stake in its Opel brand as part of its bankruptcy reorganization in 2009 to save much-needed cash. But when the financial situation at GM improved faster than expected, it reversed course and decided to stay. -- CNN's Ali Velshi contributed to this story.